Is it possible to scale a texture on a binmesh? I have a binmesh node imported from a .step file. I have an image set on the node's material. It renders fine but too big. I know I can convert the binmesh to a polymesh and apply a UV Map or UV Transform operator, but is there a way for me to make the texture smaller (scale it down) directly on the material or node without having to convert the node to a polymesh? In your scene, you must first look for the material that you want to scale. 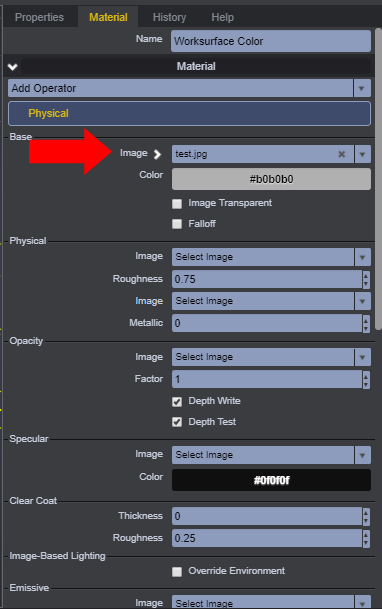 Determine what pictures are being referenced by looking at the Properties panel under Materials. Next, locate the picture in your material library and once again open up the Properties panel. 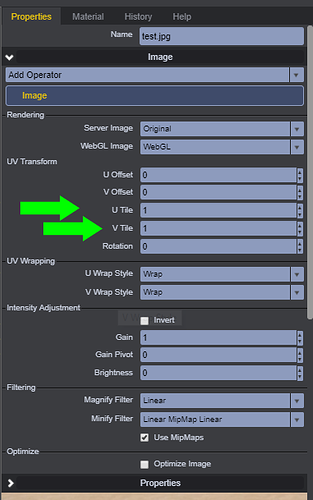 From there you can make adjustments to tiling scale under the UV Transform header. Let me know if I'm missing any other possibilities. This is what you should do. BinMesh and PolyMesh are the same thing in v2 so they are both highly performance. 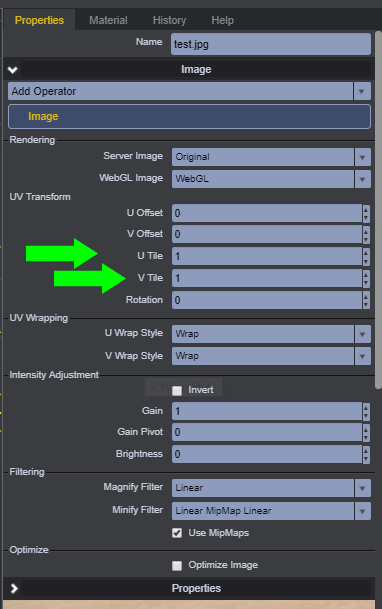 So convert to PolyMesh and then put a UVMap or UV Transform operator on it and then adjust its parameters dynamically in the player v2.